The last lost Hunchback film was made a year before the Lon Chaney version in 1922. It was called Esmeralda and was directed Edwin J Collins. It was the first British version. It starred stage trained British actress, Dame Sybil Throndike as Esmeralda and stage actor Booth Conway as Quasimodo. Frollo was played by Annesley Healy and Phoebus by Arthur Kingsley. Throndike was a distinguished actress who played many various roles like Lady Macbeth, Lady Dedlock and Hester Prynne to name a few. 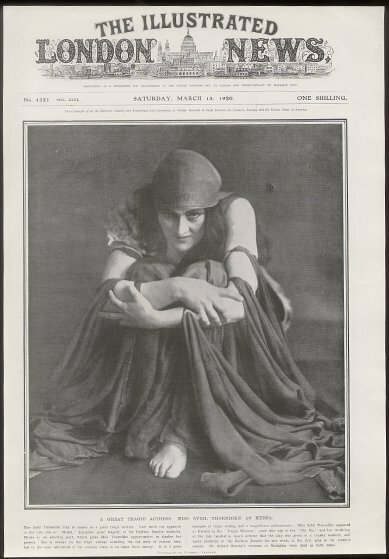 Thorndike, however was nearly 40 when she played Esmeralda and not a typical classical beauty. So one might think she got the role due her established film career but she had only started acting in films a year prior in 1921. The thought is that this movie was based on one her plays, which speaks to her acting skills. Esmeralda however is not one of her seminal films roles. Little else is known about this movie.